I have had the pleasure to meet a few folks along the way as a freelancer and one of the coolest has been designer of That’s Wizard, Matt Sorrentino. Matt commissioned me to work on the game cards, and we’ve been creating some really fun images that reflect the nature of the game, a wizard wand duel. 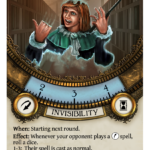 That’s Wizard is a card game about dueling wizards. 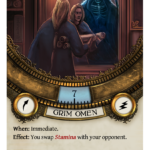 Both players design a deck of seven spell cards to defeat their opponent with. Spells are organized into seven different schools of magic, such as Transfiguration, or Charms. There are over a thousand possible combinations to create your deck with! 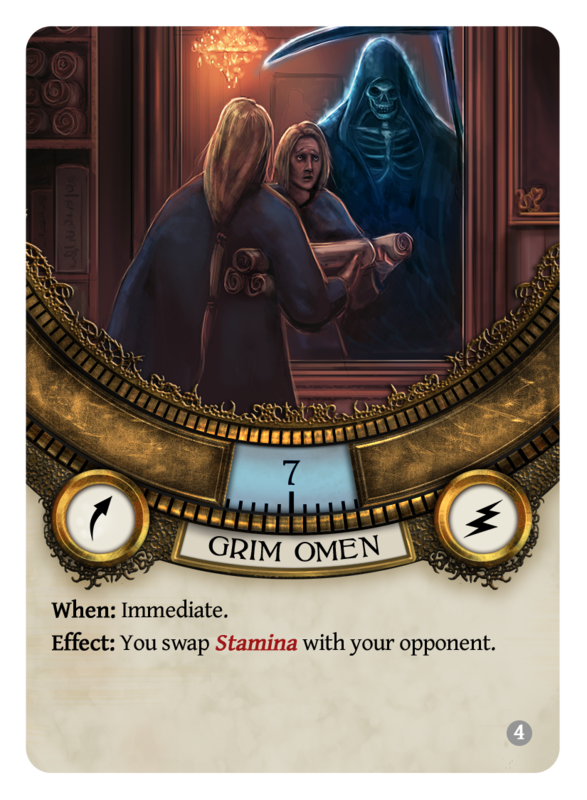 You have two resources to manage, Stamina which represents your health, and Power which allows you to cast spells. 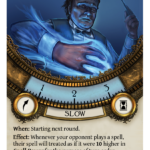 Each spell has a range of Power that you can use to cast it, such that it has a greater effect the more Power you use. 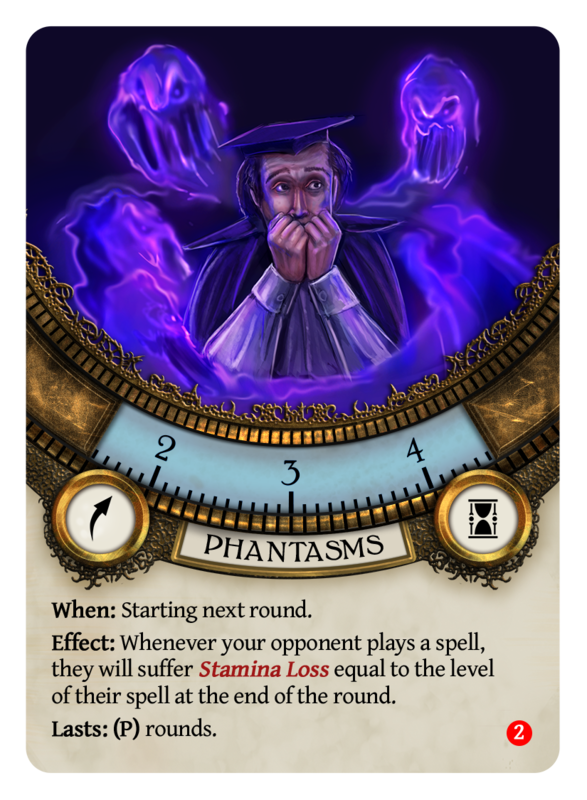 You also have two special cards; Focus and Counterspell. 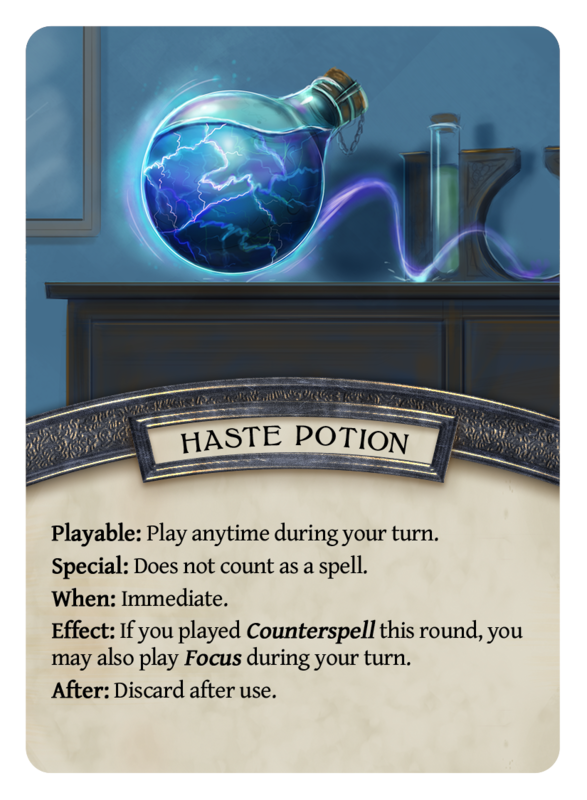 Focus will bring you back to full power, while Counterspell will prevent your opponent’s spell from have an effect, causing them to waste the power they used to cast it. Knowing when to focus, and when to Counterspell is the key to victory! The game is played with a simultaneous action mechanic. 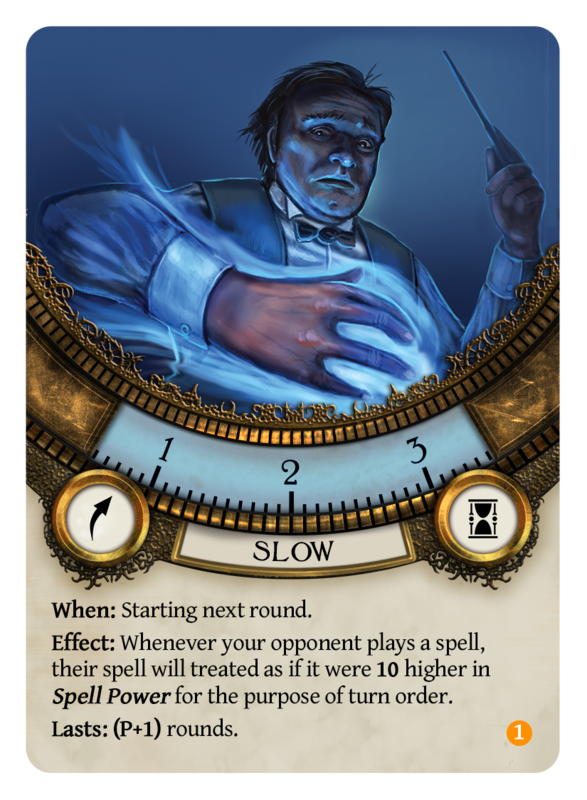 Each round players choose a card from their hand to play, and set a special Spell Power Dial to show how much power they are using. 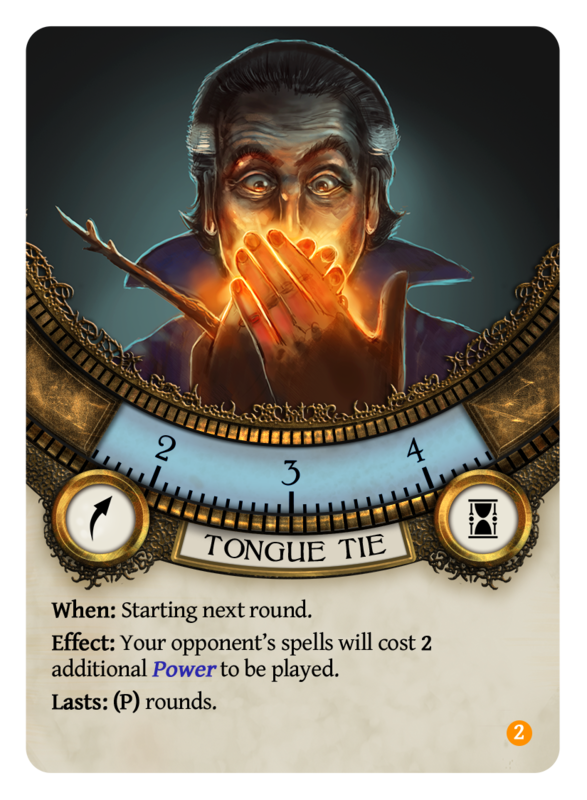 Both players reveal their cards and dials at the same time. Spells that use less power will go before spells that use more. You will play best two out of three matches. 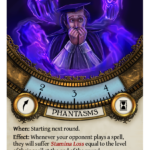 As the game progresses, you will learn more about the cards in your opponent’s hand, and be able to better guess when to Counterspell and stop them! 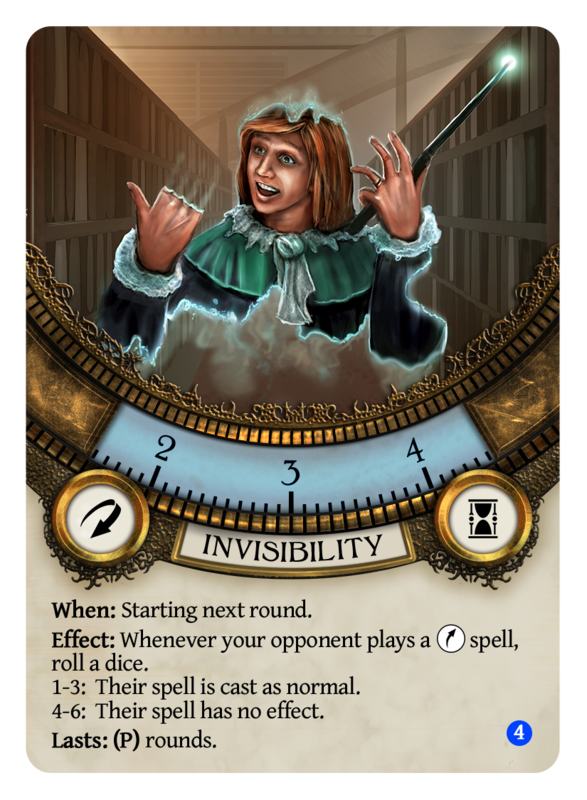 No matter how many powerful spells you bring a wizard duel, the key to victory is understanding your opponent!